Our family has been serving in the ministry for over 25 years, and we are now serving God and Country in Kodiak, Alaska as a Navy chaplain family. God has blessed our family with five beautiful children throughout our 28 years of marriage. 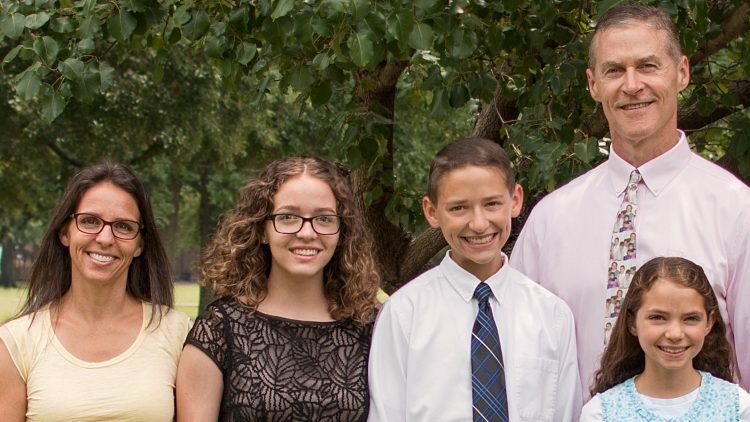 Our two oldest children are married now with children of their own, our third child is in her first year of Christian college, and we have our last two children at home. We have had a longing to have more children, and had been considering adoption. With our constant moves every few years and dealing with deployments, it seemed that God was indicating that it was not time yet. About one year ago, God impressed upon us that it was time. We began looking at different Christian adoption sites online and found Nightlight Christian Adoptions in Kentucky. We began to pray about a child and looking through the waiting children on Adoption Bridge. We had narrowed our choices down to 3 children, but God kept bringing us back to one specific child. As we continued to pray and read the Bible, God continued to show us special portions of Scripture with a word that would follow that Scripture. It was the word "Selah." It meant that something important and special was just mentioned and needed to be meditated upon again, and considered again, and not passed by so quickly at first glance. The little girl we had been considering in prayer had had many people look at her page, but after reading about her special needs, had passed her by. We couldn't get her off of our minds and hearts. I (Chad) thought to myself, "I have been in combat zones, willing to serve our military members as a chaplain, willing to risk my life in defense of our country." Then I thought, "I wonder if anybody has ever been willing to sacrifice and fight for this little girl with so many needs." We made up our minds that we would be that family to fight for her. We will do whatever it takes to adopt her, so we can love her and provide for her needs. We ran into many obstacles at first. We were told she had been removed from the list because she had been waiting so long. We had difficulties getting her approved for medical clearances for our military assignment location. But God!!! He worked it all out through prayer and now we are in the process of adopting our precious new daughter. Please pray for us and consider helping us out financially in our adoption journey to bring Selah Faith home soon. You may contact us personally at: browniecea@gmail.com. Praise God you were led to the Child God wants you to have. God Bless. I asked God what to do to help and God said 10% So here it is ❤️ I know, first hand, that adoption is a wonderful way to do life! Prayers for blessings and God’s continued favor. I can only afford a small amount but I'm certain every little bit adds up. I hope you can bring your daughter home very soon. Awesome journey and excited for your family to live adoption in this life as we have been adopted! It’s a wonderful thing your family is doing. I’m praying about the adoption process and sweet Selah to be in your loving family soon. I am praying that God delivers her home to you all. I miss you guys and I know no other family more deserving! You all have been a blessing to me and my family! May God continue to bye to give you the desires of your heart. Thanking God he placed Selah on your hearts to adopt her. Love you guys and praying for a miraculously smooth process! We love you all and cant wait to have Selah as part of your family and part of our church! Praise the Lord for such a wonderful family. Love you! God's blessings for your family! TheFreds Megan and Alex Adopt!